People who have been incarcerated struggle with mental health implications upon being released from jail. Certified Peer Specialists can help ease the reentry period by providing practical and emotional support. With financial and technical support from the Hogg Foundation, Via Hope developed a curriculum for training peer specialists. Peer specialists who have taken this training work in jails, forensic psychiatric hospitals and other settings throughout Texas. Peer support can help lower recidivism, decrease crime and drug abuse, and even ease stresses on prison staff. What happens when someone with behavioral health conditions is released from jail? 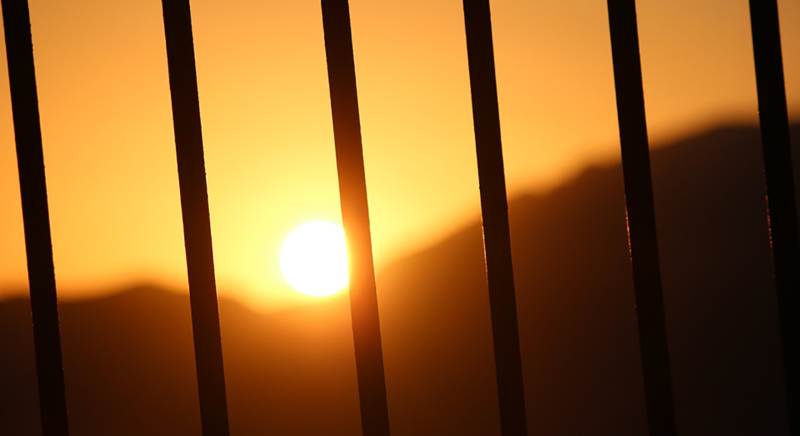 The story of reentry following incarceration is unique to the individual; however, in many ways, common threads and glaring struggles highlight issues in the Texas criminal justice system. Romy Zarate struggled with addiction for most of her life. After a traumatic childhood experience and the untimely death of her mother, her life spiraled downwards. “In the 1980s,” says Romy, “counseling wasn’t really a resource and I never was treated for psychological issues despite obvious trauma.” Instead, in her early teens she turned to drugs, describing herself as a “functioning addict.” She got married and had kids. Then she got divorced and her kids went to live with their father, and Romy was left alone. All alone, living in Austin, she began to go out more frequently and got deeper into drugs. Within four months, she described herself as a full-blown addict. For three years, she was “bound to the chains of addiction.” She lost one of her kids to foster care, and spent time in and out of jail for drug and alcohol charges. Each time she left jail, she fell back into drug use. She had no community, no support. In time, Romy began experiencing psychosis. She wanted to stop the drug abuse but couldn’t. The voices in her head got intense. It all culminated in the self-realization that she was either going to die or kill herself if she stayed on the streets. After attempting suicide several times, she used a payphone and called the police. Romy received a seven-month jail sentence. During incarceration, she couldn’t sleep, she was having nightmares and hearing voices. It was only in jail that she was diagnosed with bipolar disorder. She finally began medication. After she was released, her son was returned to her from foster care. She says it is because of her son and sheer desperation that she navigated the system on her own: managing her student loan and getting a drivers license, food stamps, and information on substance use. 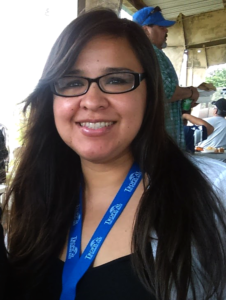 Romy left Austin with her kids and started treatment at Tropical Texas Behavioral Health in the Rio Grande Valley. That’s where she was introduced to their peer support program. She found her calling. She’s been supporting female inmates at the Brownsville jail since 2013. In Texas, an estimated 35 percent of inmates in state correctional facilities (operated by the Texas Department of Criminal Justice, TDCJ) have a history of mental illness. Texas Correctional Office on Offenders with Medical or Mental Impairments, TCOOMMI Services Template, Fiscal Year 2013. In many ways, Romy’s story is not discrete. The process of community reentry after incarceration can be a difficult one, as Romy experienced multiple times prior to her diagnosis. Inmates might be released at 1 or 2 AM, often with no money, no food, and no one to call. This is especially unsafe for women, and particularly difficult for people with mental illness. It’s also common for inmates to come off of medication during incarceration or have to use different medication. When they’re released, they may not have access to their medication or a way to get refills. Many times individuals who have been incarcerated are returning to very little, explains Shane Whalley, formerly the Peer and Family Leadership Unit Manager at Via Hope, an Austin-based nonprofit that provides training, education and consultation to individuals in recovery from mental health conditions. In some ways, Romy’s story is unique. Not everyone is as resourceful – and desperate – as Romy. Fortunately, she was able to find the drive and the resources to move forward with her life. 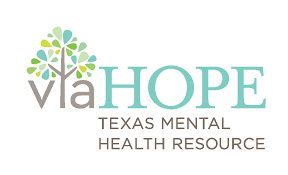 Via Hope is helping provide that support to individuals with mental illness who are re-entering the community through the support of trained peer specialists and certified recovery coaches who work with people who have been incarcerated. A study in the New England Journal of Medicine shows that in the first two weeks of release, former inmates die at 12.7 times the rate of the general population. With financial and technical support from the Hogg Foundation, Via Hope developed a curriculum for training peer specialists as part of implementing Rider 73 from the 84th legislative session. This Community Reentry Pilot Project provides peer support to assist individuals with re-entering the community after incarceration. The Hogg Foundation recognizes that the transition from jail into the community is a difficult one, and believes certified peer specialists and recovery specialists are an essential part of the mental health workforce, citing SAMHSA and other resources on the importance of peer support in recovery. Since 2016, Via Hope’s curriculum has trained nearly two dozen Certified Peer Specialists and Certified Recovery Coaches to serve specifically in the criminal justice system. The class helps people brush up on peer support skills and adapt those skills for the criminal justice setting. While the vast majority of these peers have been incarcerated themselves, the training also gives them in-depth knowledge of the criminal justice system. Following Via Hope’s training, the peer specialists are assigned to inmates before they’re released to help them access services from local mental health facilities and community programs. Peer specialists who have taken this training work in jails, forensic psychiatric hospitals, and other settings throughout Texas. Romy’s story continues, as she’s recently participated in the Via Hope Community Reentry training. Having gone through the training, Romy is now providing support to incarcerated women in the Rio Grande Valley. She says that certification as a peer specialist and participation in the community reentry training changed her life and now she’s changing the life of others. “The facilitators [in the community reentry training] were awesome and covered so many topics: safety, professionalism, the rules. I learned that even if you may not have all the answers, you can look for them. The people who came to the class came from different sides: hospitals, jails, etc. The group became a cohort and ongoing support for me,” says Romy. *Legislative Budget Board, 2013; Texas Commission on Jail Standards, 2014; Texas Department of State Health Services, 2012. **Texas Department of State Health Services, FY 2014 – 2015 Legislative Appropriations Request (LAR), August 2012. A study in the New England Journal of Medicine shows that in the first two weeks of release, former inmates die at 12.7 times the rate of the general population. This is due in part to lack of access to health coverage, but also a lack of support following incarceration. Certified Peer Specialists assigned to inmates can help navigate this tenuous time. A peer with lived experience in both behavioral health and incarceration can pick up the individual as he or she is released, get people into supportive services more quickly, provide a supportive environment and increased accountability, and, in turn, reduce recidivism. A report from the Center for Public Policy Priorities makes the case for putting state funding toward programs in county jails to pair inmates who have mental illness with someone who’s gone through a recovery process. This idea has attracted support from around the country and throughout Texas. With someone other than a clinical caseworker to call on, people are given a lifeline, a resource and a personal connection that is often missing. “Caseworkers don’t want to get personal. Their mindset is different: it’s symptom management and the psychology of it. But peers are given the green light to share their personal stories. You can really feel when someone cares,” says Romy. Beyond the benefits to the individual in terms of access to care and personal support, peer support can help lower recidivism, decrease crime and drug abuse, and even ease stresses on prison staff. “The demand for this training from the peer community has been overwhelming. There has been a great unmet need, and we plan to continue offering this training for peer specialists and recovery coaches,” says Dennis Bach. A powerful case for embedding peer support and education in the criminal justice system. We believe in recovery from mental disorders and invest in services, research and more to ensure that Texans reach their full potential. The Tribune describes examples of individuals who wound up accessing care only after being charged with a crime. This project was conceptualized to leverage peer experiences to empower justice-involved persons to successfully transition from jail into communities.